Sense-making is a core part of learning, and…learning takes place through making connections in several ways: neurological, social, cognitive and experiential. People understand the world through schemata–‘a cognitive structure that consists of facts, ideas and associations organised into a meaningful system of relationships.’ It is through constantly comparing existing schema with new information and understanding that we develop through our encounter with the world, that we adapt or stretch our existing understanding to accumulate richer and deeper knowledge…our understanding of the world and relationships is not just through storing information as an ‘objective’ entity. We do not passively receive information from our environment–rather we translate information into internal representations whose value is significant.’ They [human beings] actively participate in the generation of meaning in what matters to them: they enact a world’. Sense-making is, for them, a relational and affect-laden process grounded in biological organisation. That was a long quote so we could go back to what was simply as aspiration and a theory decades ago and then forward to real time classroom instructions now. Then we get the fireworks in the form of last week’s release of http://fabbs.org/wp-content/uploads/2019/02/BRAIN-Initiative-FABBS-presentation-FINAL.pdf called the “Opportunities for the BRAIN Initiative 2.0.” Phase II or 2.0 turns out to be “Transforming dynamic neural patterns into understanding cognition, emotion, perception and action.” How does that happen? Here’s one current example from http://learndbir.org/resources/A-Phenomenon-based-Assessment-System-for-Three-dimensional-Science-Standards.pdf It explains that the desired student “Performance Expectations are endpoints. To successfully prepare students to meet these goals, instructional materials must provide learning materials at the nexus of these three dimensions” of Science and Engineering Practices [the outside action], Core Disciplinary Ideas, and Cross-Cutting Concepts. That would explain why those of us with solid factual knowledge in an area see misapplied concepts, or Inapt Metaphors, as students use terminology they “have a feeling for,” instead of a solid foundation grounded in facts. Such a body of knowledge might interfere with an aspiration to change the world. What these prescribed concepts and learning experiences are doing though is creating internalized schema in the student’s mind. Precisely where all these learning and cognitive scientists and education researchers are trying “to invent and perfect new concepts suitable to nervous system function, and they all have their sights set on explaining macro phenomena in terms of micro phenomena.” We get a new kind of education breaking out in earnest in the 1980s when Patricia Churchland wrote, and Lauren Resnick began pushing the now required Higher Order Thinking Skills, where the traditional logical, sequential representations that had traditionally been the purpose of instruction get replaced by a neural network combining ‘patterns of activity’ with provided categories of thought. The three-dimensional learning required now and laid out as Mindful Agency are grounded in what psychologists theorized would be necessary to create New Kinds of Minds as Paul Ehrlich put it in a 1989 book I have warned about. Now to the fireworks as that BRAIN Initiative link had a header that said “NSF SBE Grand Challenge Ideas.” What’s that I ask? I remember the NSF funded all the controversial, ‘discovery’ math and science curricula? SBE turned out to be Social, Behavioral, and Economic Sciences and the SBE 2020 vision was launched in August 2010 https://www.apa.org/science/about/psa/2010/08/challenges when a Paul Ehrlich colleague, John Holdren, (whom he mentioned in thanks in his book, New World, New Mind) headed the White House office that oversaw the NSF. That’s one way to fulfill that book’s goal of Conscious Evolution, isn’t it? I started reading those SBE 2020 papers over the weekend and found the link to the Krasnow Institute and its Neuroeconomics we stumbled across pursuing Thinking and Reading like a Historian in a paper called “Understanding the Mechanisms of the Mind through an Integrated Science of the Mind Initiative.” Whereas, Professor Churchland simply hoped a neural network that functioned like Parallel Distributed Processing (PDP) in computers could become the end result of a new kind of transformation education, another co-author of that paper, James McClelland turns out to be a PDP expert. https://fabbs.org/our_scientists/james-l-mcclelland-phd/ . Another co-author at MIT, Aude Oliva, is working “to understand how humans encode, process, retain, predict, and imagine.” No wonder we get ‘bottom-up’ New Foundations for Readiness as we saw in the last post. Another paper “Twenty-First Century Challenges and Opportunities for the Human Sciences” wanted to “develop a scientific understanding of the social processes that now shape [the natural world].” This would require the United States to finance a “significant and targeted investment in an integrated science of social and behavioral dynamics, or ‘human sciences’.” And the next year, 2011, the federal Department of Education held its first competency-based education summit to do just that and implement the developed “theory for human social action” using student-centered learning to create the needed personalized neural networks in each student. Coordinating the inside categories of thought and motivation to act with the external activity in any given environment. One of the most critical challenges facing next-generation social, behavioral and economic research is to understand the dynamics and consequences of interactions between human systems [that’s US!] and the natural world. To accelerate scientific progress, significant and systematic efforts must be made to identify and collect data across time and space that enable evidence on perceptions, attitudes, social institutions, situation-behavior relationships, and decision-making to be linked comprehensively to measurements of the natural environment. These data will lay the foundation for a science of sustainability. Rereading that quote would explain why the same think tank employees or their affiliates misrepresenting how learning standards like the Common Core really work also envisioned misrepresenting the purpose of all the data gathering from the beginning. It appears that education researchers aren’t the only ones aspiring to control our internalized ‘schemata’ that guide how we interpret the world around us. Capturing Every Thought Captive and Sculpting Students as Systems: Driver of Perfidy? No one mentioned that “you will simply love it Comrade,” but that is a bit how the papers and discussions read. Like the Portrait of a Graduate visions, the personal traits of the student/system are front and center as a desire to “graduate young adults who are self-directed, intellectually engaged, and possess a commitment to personal and civic responsibility.” The vision is supposedly “consistent with how brains take in and process information.” Now I would add a caveat to that since I have been tracking CHAT-Cultural Historical Activity Theory–across the decades and from the Soviet Union during the Cold War, to New York City with Rockefeller Foundation financing, to San Diego when Carnegie seems to have taken over, to Rome, Italy and the 2013 ISCAR Summit. In the middle we have the original Higher Order Thinking Skills (HOTS) mandates in the 80s (now in ESSA as an annual mandate for all students) and what was called the New Standards Project in the 90s that would morph into the Common Core we know now. That was long-winded but the point is these ideas are trackable with a clear lineage and related tangents that have been covered at ISC through the years. I hereby declare myself a sufficient authority from all this tracking that statements about how this is how the brain DOES work are not true. The truth is that this is how the brain CAN be made to work if certain educational practices become required. The pithy expression is that “nerves that fire together, wire together”. If curricula highlights interpreting through supplied concepts, principles, and themes; forces an inquiry approach and ‘productive struggle’; or as with HOTS assessments, requires questions with no single answer but which deal with ‘ambiguity, empathy, and problem-solving,’ a certain part of the brain tied to emotion in the Prefrontal Cortex is what is being used. My second train is the newly launched Child Abuse in the Classroom site which issued what is either an intentionally manipulative narrative on the the role of social and emotional learning and its ubiquity over the decades, or it is just ignorant of the entire push to make the student into a system. Perhaps it is a mixture depending on the person involved.Targeting certain parts of the brain has always been crucial to this manipulation, which you would never know from articles like this one. http://www.capitolhilloutsider.com/congress-passes-psychological-manipulation-in-an-education-bill/ The logic is not emotional manipulation on top of academics. The purpose of academics in this ‘Make a System via Neural Wiring’ scenario is to create the activities that allow the desired neural rewiring. Reading the CAC press release caused me to get my hands on Phyllis Schlafly’s original Child Abuse in the Classroom book from 1984. Whatever Mrs Schlafly’s intentions in publishing that testimony from hearings around the country, the book’s mere existence seems to provide an evidence-base for using social and emotional techniques in the classroom without any real statutory protection. Here’s why: the so-called Protection of Pupils does not let us use our dictionary meaning of “research or experimentation program or project”. Instead it defined it as “any applicable program designed to explore or develop new or unproven teaching methods or techniques.” We have a book with testimony on how many years these techniques had been in use in certain school systems and just how effective the curricula and practices were in changing who the student was at an internalized level–what they valued and believed. When I was following up on a recent National Academy of Sciences publication touting a synonym for SEL called Character, it led me to a Notre Dame professor, Darcia Narvaez, who also turned out to be a fellow at that Jubilee Centre that has issued the Framework for Moral Development and the Knightly Virtues curriculum. She has a book that explained precisely how learning standards like the Common Core or Competencies really are to work so let me quote her. Remember standards and curricula now are all about experiences and activity-oriented practices like Project-Based Learning. Members of the Aspen Task Force are also tied to the Jubilee Centre. “Enduring states become traits…In a dynamic system, once the system is stabilized around a particular interpretation, expectancies are formed for future pattern recognition and action…A behavior at any given point in time is a function of the interaction of person with context, with its history and trajectory. Prior experiences and habits constrain present configurations and options. Prior experience constrains real-time interpretation and activations of connectivity across systems. Those ’emotionally laden situations’ were precisely what drove so many parents to testify back in 1984 and seek a federal remedy against these type of educational practices. We never will get an effective remedy against these intentional neural intrusions against ANY LEVEL of government until we grasp the aims of the student as a manipulable system. It’s no secret that many who seem to be active in weaving a deceptive interpretation of these education initiatives also like to wear their religious convictions on their sleeves. Nothing wrong with that except when the reason for the deceit is to allow religious groups to invisibly impose their vision using these powerful tools of behavioral science. The work of one of the more high-profile writers, Gary DeMar who created the Biblical Worldview Library, was cited in a footnote so I located Volume 3 of God and Government: The Restoration of the Republic. 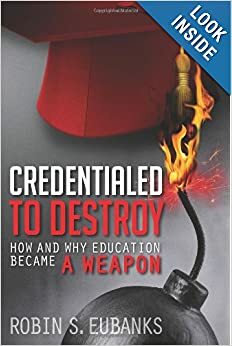 DeMar was very hostile to what he called ‘autonomous reason’ and wanted to “bring into captivity all our thinking.” My noncompliant Axemaker Mind recognizes how he and those who agree with his vision for developing “an education program for dominion purposes that would cover the world. This means applying what we learn from the Bible to every area of thought” would just love the behavioral science/neural rewiring/systems science template that everyone but the parents seems to now know about. The purposes for manipulation now differ, but the planned techniques really do not. Again that’s a huge incentive to mislead parents about the nature of education reforms or to declare curricula “Common Core-free” even though it clearly aims at such neural manipulation when accurately evaluated. I want to close with DeMar’s definition of ‘self-government’ since that euphemism comes up so much, as well as the rationale for Classical Education since it sounds like such an alluring remedy. That ‘definite purpose,’ to be internalized at a neural level to guide perception and motivate behavior, is what makes even religious education now about turning the student into a system. Maybe it is for his or her own good, but it’s not out in the open. Parents cannot have the much vaunted ‘say’ in their children’s education until they appreciate this neural aim and its consequences. Hopefully it can be out in the open now because that is truly the only way to stop Child Abuse in the Classroom or, in front of a computer delivering virtual reality. Best way to control those all important learning experiences and assess their impact in real time.